Are you tired of seeing only green from your shrubs such as boxwood or yew? Are the areas next to your home walls, fences, terraces, tree islands, gate entrances, and/or borders barren? Do you want to add color to these areas? You may want to consider planting these areas with the beautiful amaryllis (Hippeastrum x hybridum). 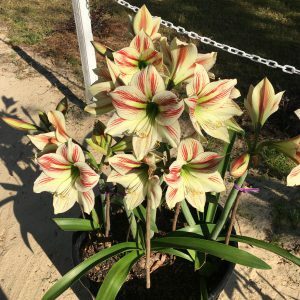 Amaryllis grows from a tough, dependable bulb that will bloom during the spring after winter dormancy. 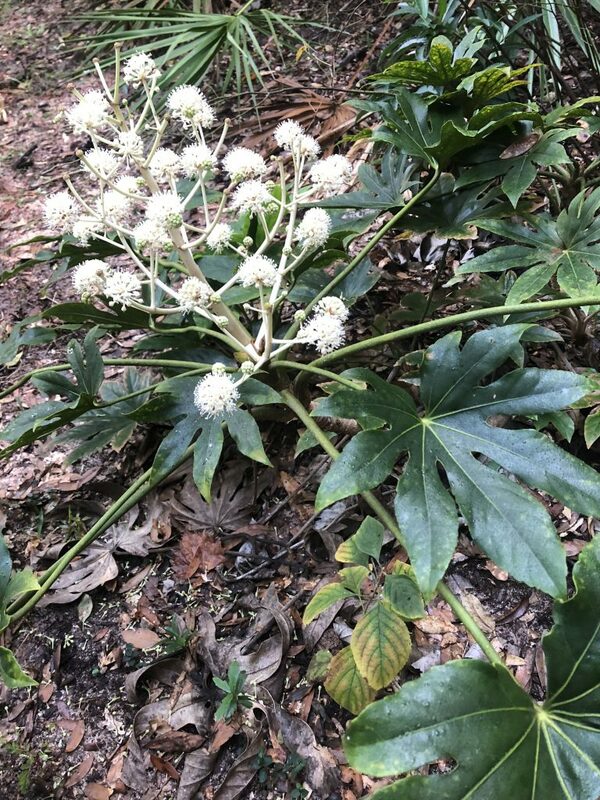 The strap-shaped leaves will emerge first and grow about 1.5 inches wide, up to three feet long, and persist much of the year in Florida. They are reduced later in the summer and ultimately die back from frost. 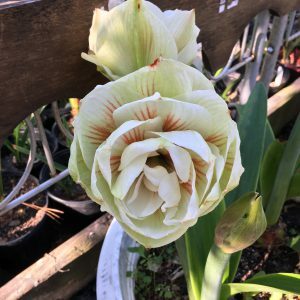 In the late winter, bulbs will eventually produce one to three leafless stalks, or scapes, that will each have two or more trumpet-shaped flowers. 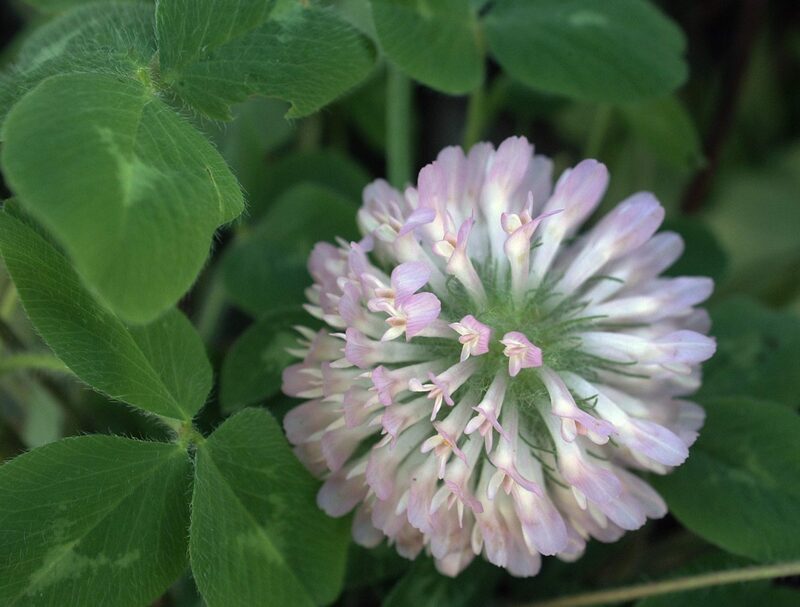 Flowers come in a variety of forms and shapes: from single and double, miniature or large. 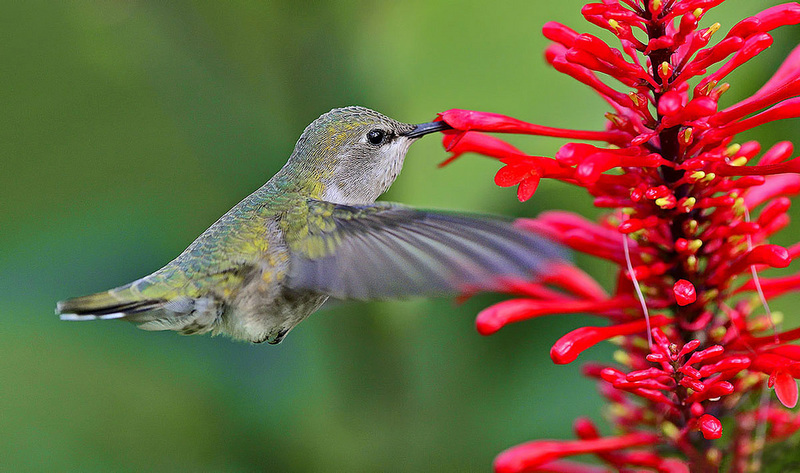 Flower colors can be red, bright pink, shades of pink, orange, white, rose, or even salmon. It does not stop there! The flowers may even be striped and multi-colored. 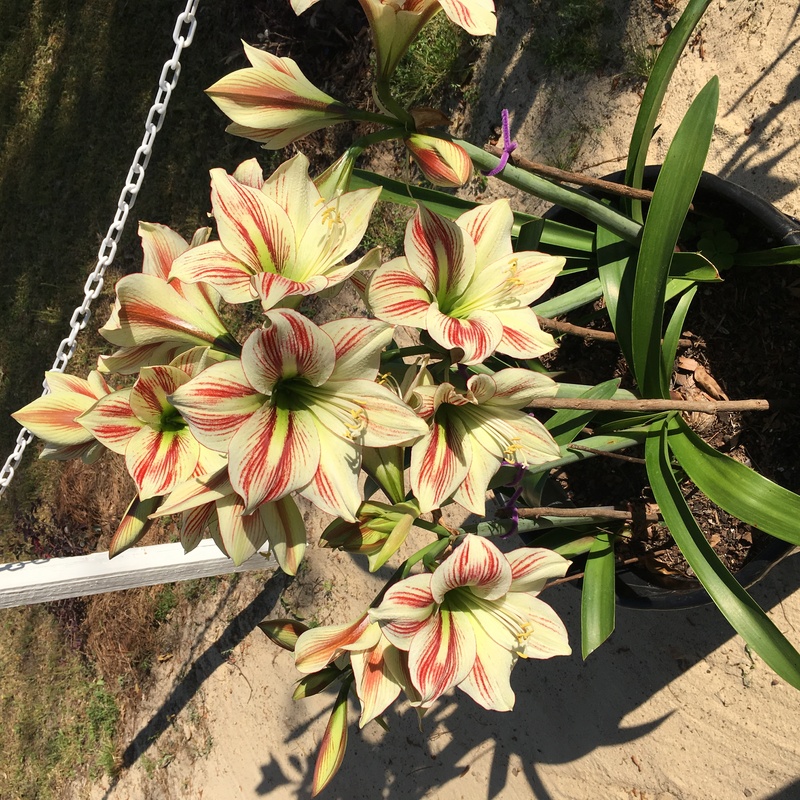 Amaryllis can create a striking focal point when they are planted in clusters of 10 or more of similar color. 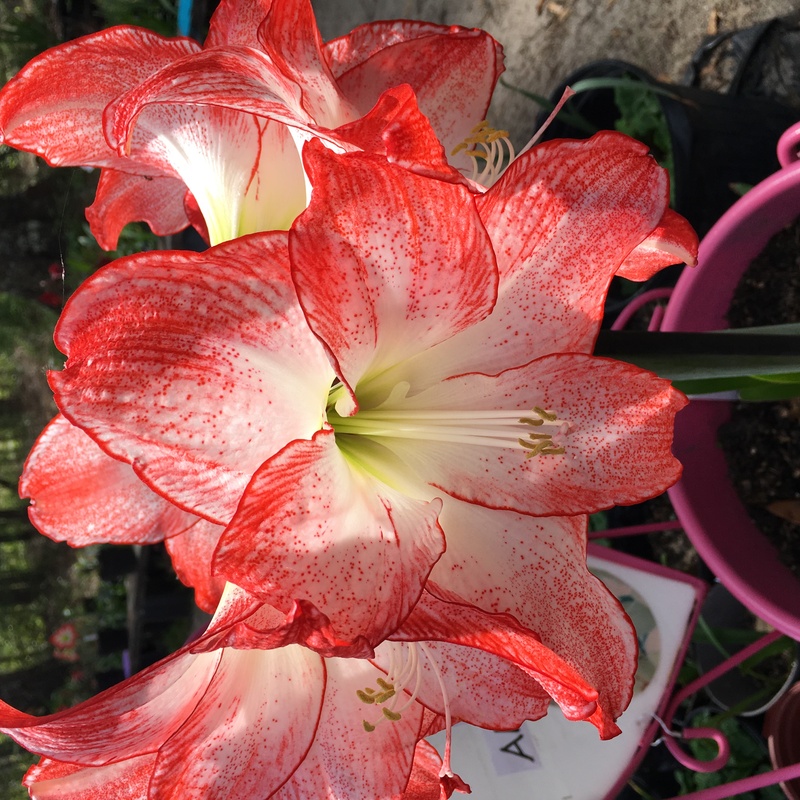 Double flowers of amaryllis. Photo by Logan Boatwright. Amaryllis may be planted anytime of the year, but winter is best. 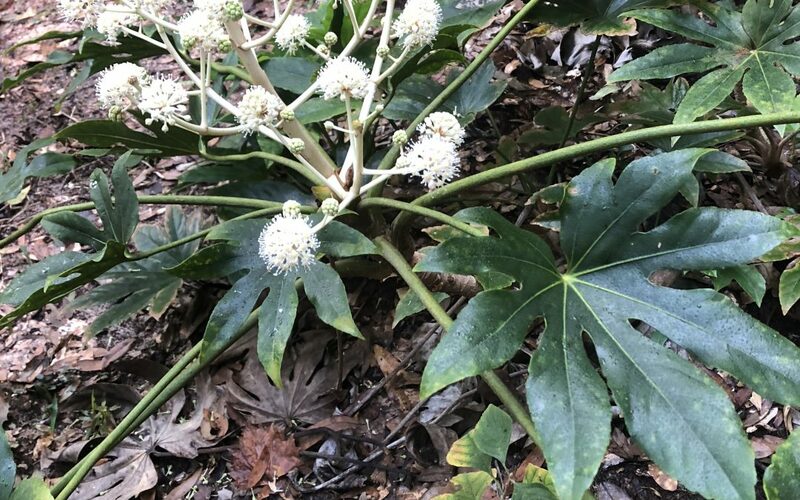 They are sun- and shade-tolerant, but planting in light shade is best since leaves will yellow in full sun and plants bloom poorly in heavy shade. Amaryllis prefer well-drained sites to prevent bulb and root rots. 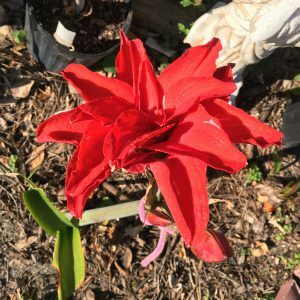 For the best amaryllis performance, till and amend the soil with a 3- to 4-inch layer of organic matter and 2 to 3 pounds of 6-6-6, or a comparable amount of other complete fertilizer per 100 square feet. 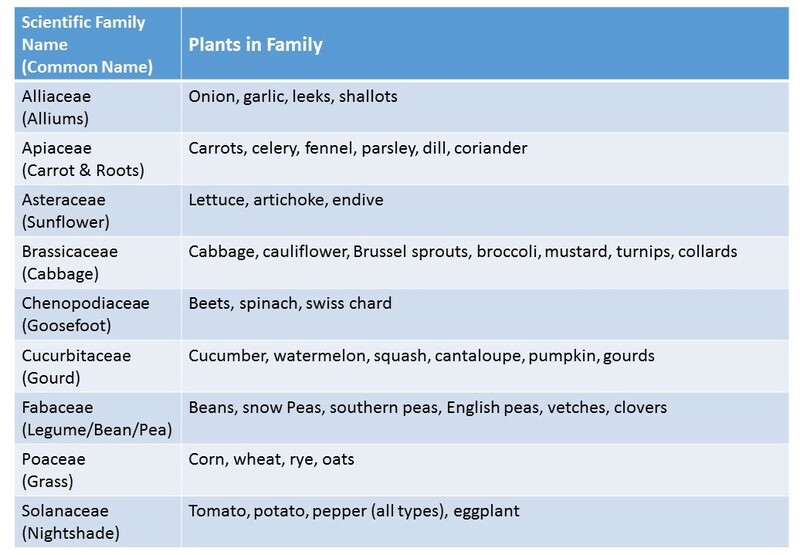 Plant 12 to 15 inches apart. 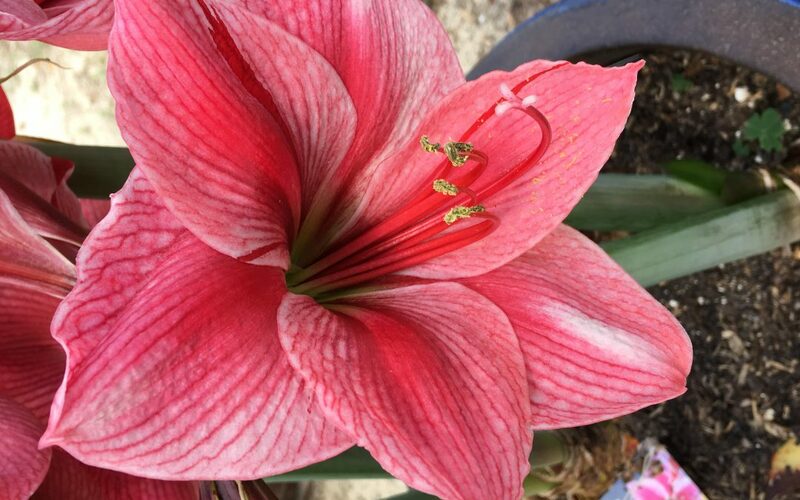 Amaryllis can greatly benefit from at least one fertilizer application in the early spring and two to three applications during the growing season. 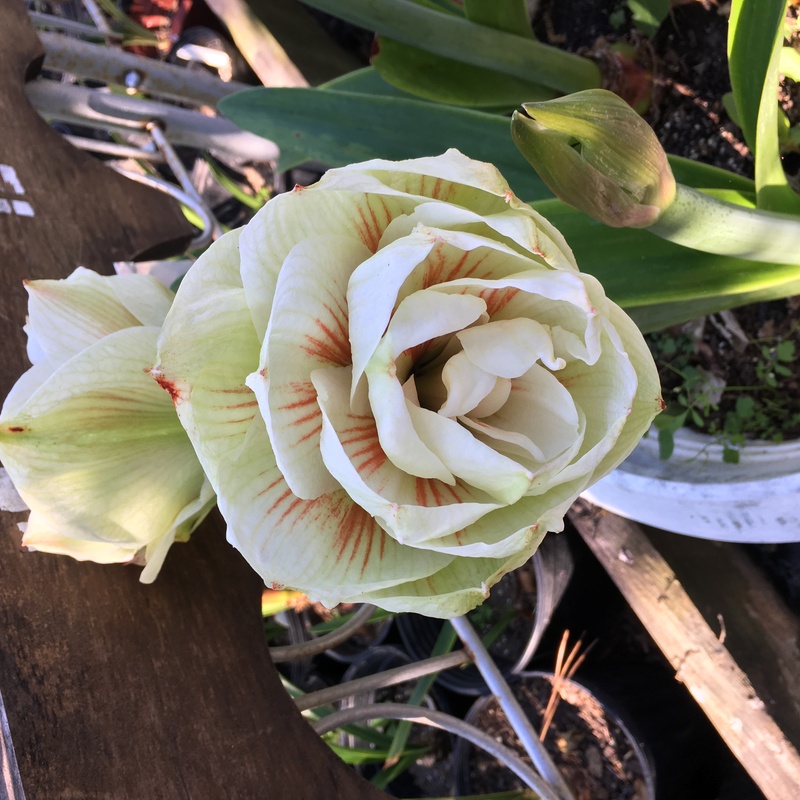 Many blooms from multiple amaryllis bulbs. Photo by Logan Boatwright. 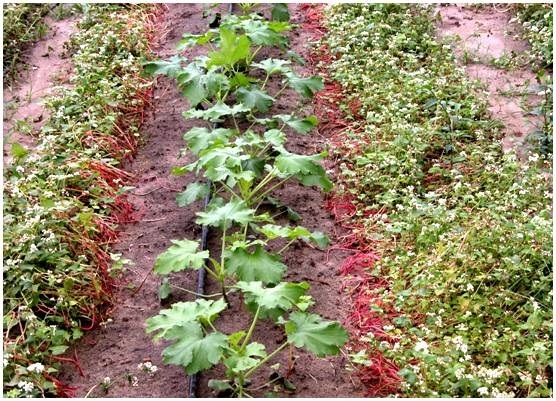 After flowering it’s a good practice to remove the stalks, unless seeds for planting are desired. If the bulbs become crowded, dig and separate them out. 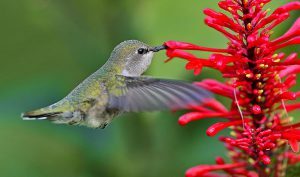 Doing this will encourage large, uniform flowers. Go out, plant a few amaryllis plants today, and be ready to. 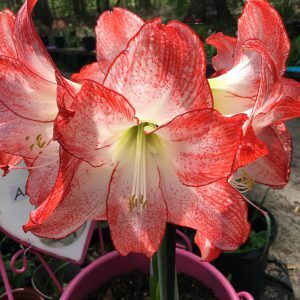 To learn more about Amaryllis, please follow this link. 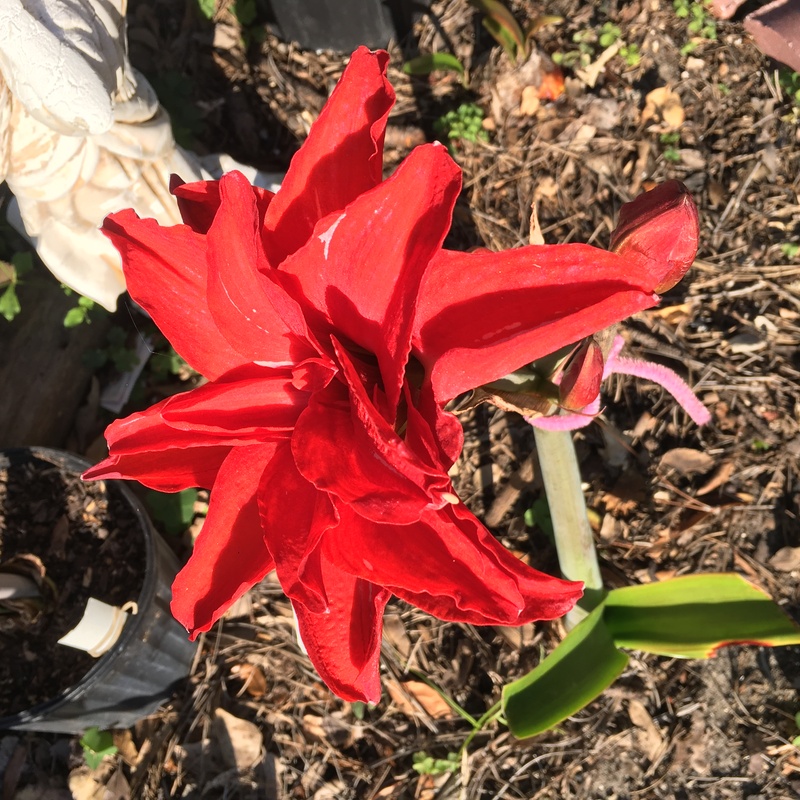 Blooming amaryllis plant. Photo by Logan Boatwright. 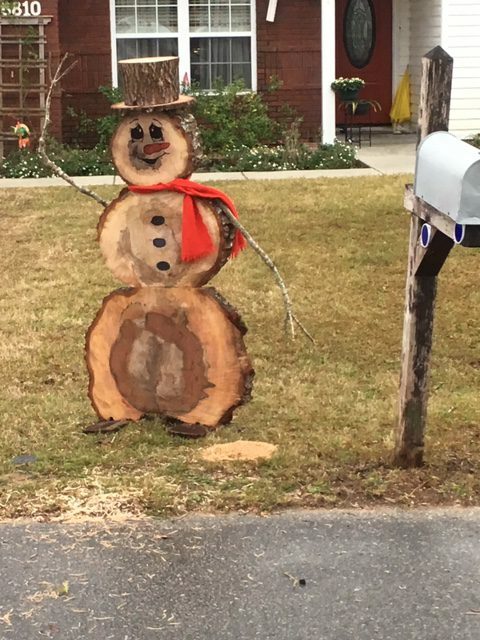 By the time this article publishes, we will be more than 70 days since Hurricane Michael toppled or damaged an incredible number of trees in the Panhandle. Enormous piles of once stately shade trees line the streets in neighborhoods and business districts in. The cleanup efforts have been phenomenal, over 4 million cubic yards of storm debris picked up in Bay County to date, but there is still a long way to go in the recovery process. 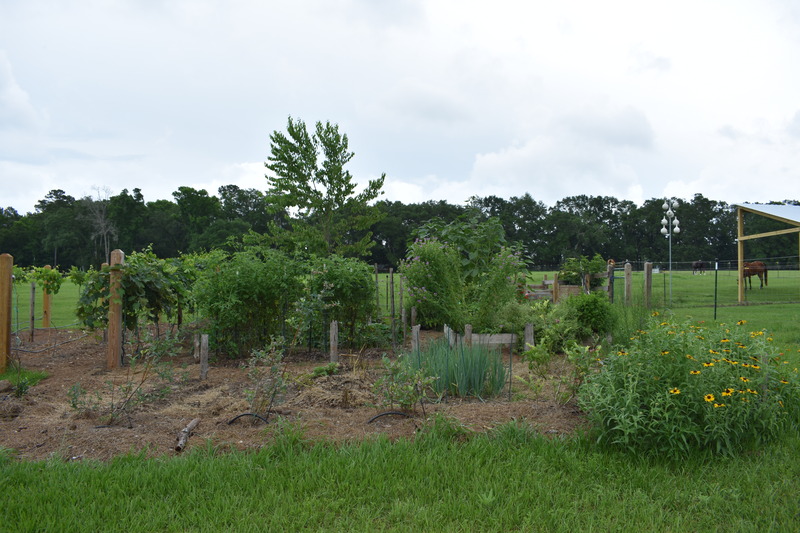 So, as gardeners, how can you help our community get back on track amidst your own struggles to recover? A few Florida Friendly Landscaping™ Principles come to mind. 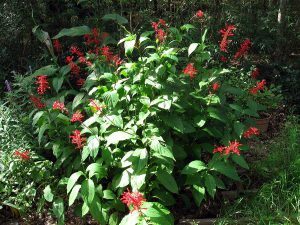 #1 Right Plant, Right Place – as you rebuild your landscapes, make sure to choose the appropriate plant for the location. 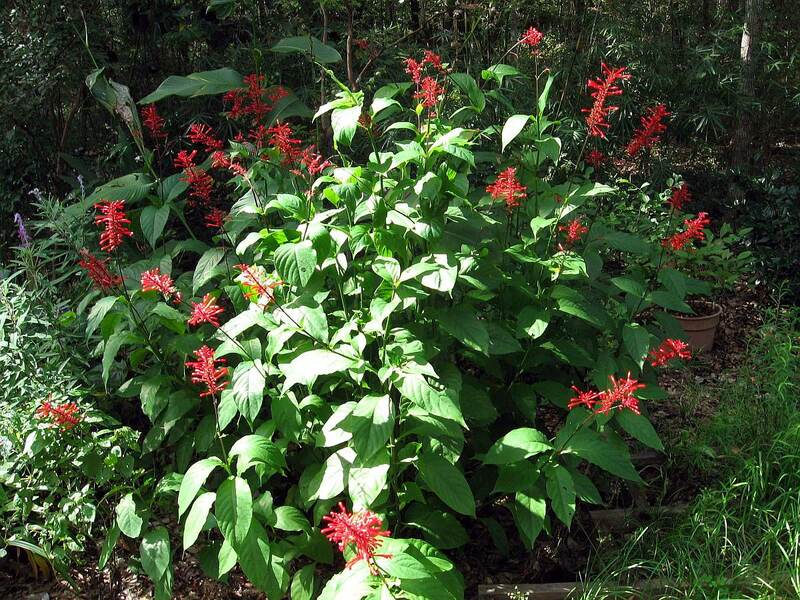 Consider mature size and give those plants space to thrive! 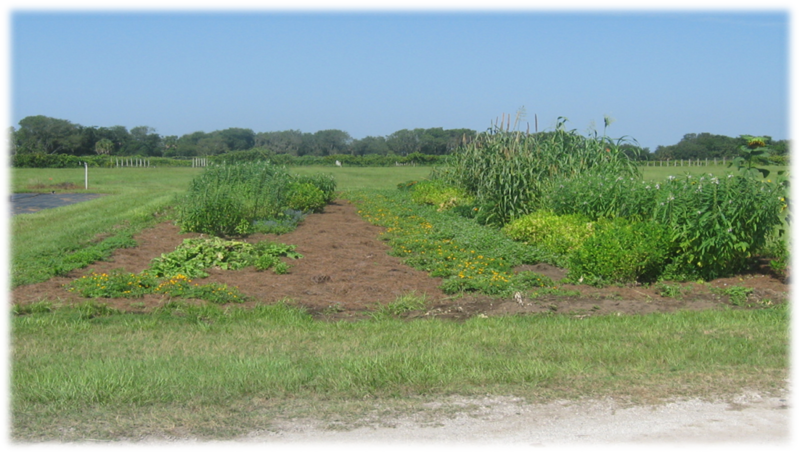 #4 Mulch – do you have bare ground that will eventually become landscape beds or turf but no resources or time to replant yet? 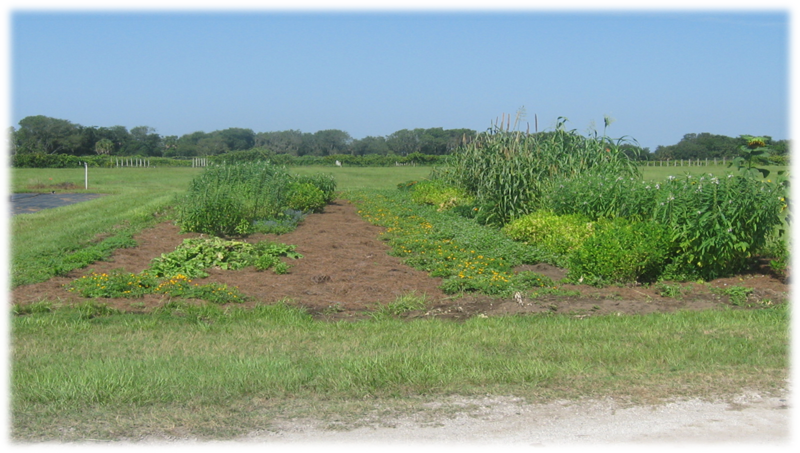 Consider mulching the area to keep soil from eroding and to help improve soil though decomposition of natural products. Hint – see Recycling for free sources! 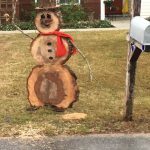 #7 Recycle – driving around town I have seen some really creative uses for stumps, trunks, and branches that homeowners have constructed and messages of hope that bring a smile to my face. 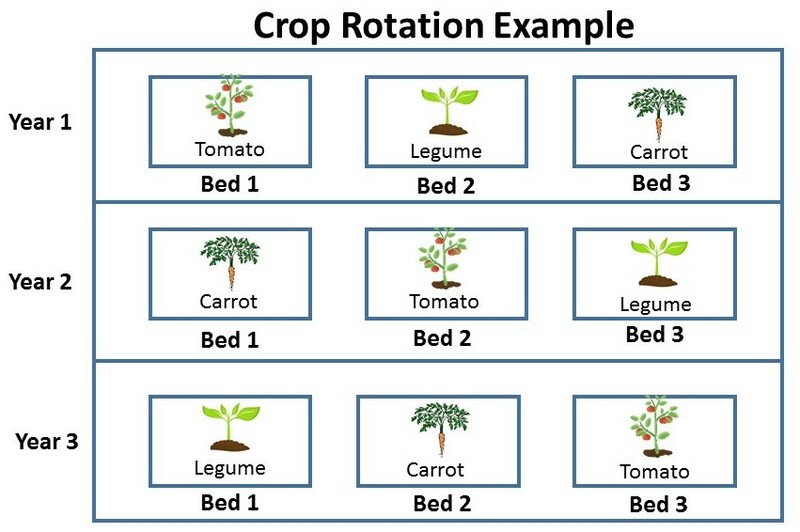 Another method of recycling is to use the chipped vegetative debris as mulch, either available as “utility mulch” by cities and counties or you may have some in your own yard right now. 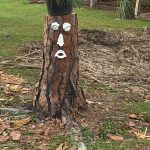 Utility mulch does come with some words of caution because there is an increased risk of introducing weeds to your landscape with untreated storm debris. However, if you need mulch for pathways or planting beds you will be helping your community’s cleanup effort by reducing waste accumulation. Just watch for “volunteer” plants and manage as needed. For sources in your county, check with your Solid Waste Department for utility mulch availability.